Miso paste is Japanese fermented soy beans used in making miso soup and all kinds of Japanese dishes. There are different types of miso paste: yellow, white and red. In terms of intensity, red miso is most pungent and saltiest, follow by yellow miso and white miso. White miso is also sweeter in taste. 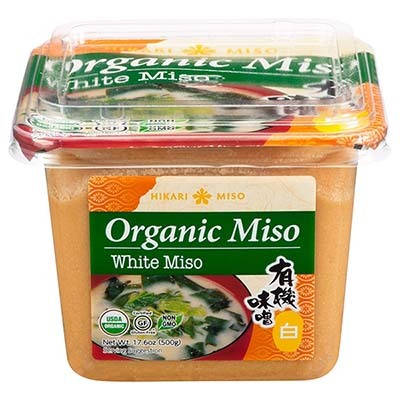 I recommend white miso for my recipes. *Image is from Japan Info.